TripAdvisor is delighted to recognise Aviair with a Certificate of Excellence. Based in Kununurra, Broome and Karratha, Aviair offers corporate air charter services, regular passenger transport and beautifully crafted scenic air tours. Previously known as Slingair, Aviair was established in 1984 and has grown to become the first choice for air charter services in the north west of Western Australia. With a range of Bungle Bungle scenic air tours and day trips to the Mitchell Falls, Horizontal Falls flights and more, Aviair can show you around the spectacular Kimberley region . Aviair also offers combination tours of the Kimberley that include a Bungle Bungle helicopter flight and cruises on Lake Argyle and the Ord River. 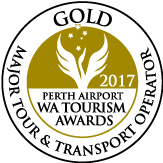 Aviair won the Gold Medal in the category of Major Tour and Transport Operator in the 2017 Perth Airport WA Tourism Awards and the Silver Medal in the 2018 Qantas Australian Tourism Awards.